*Another recreation of a blog post that this updated WordPress app has eaten. It looks nice, but I am not impressed. The glacier stream crossing turned out to be not much to worry about. 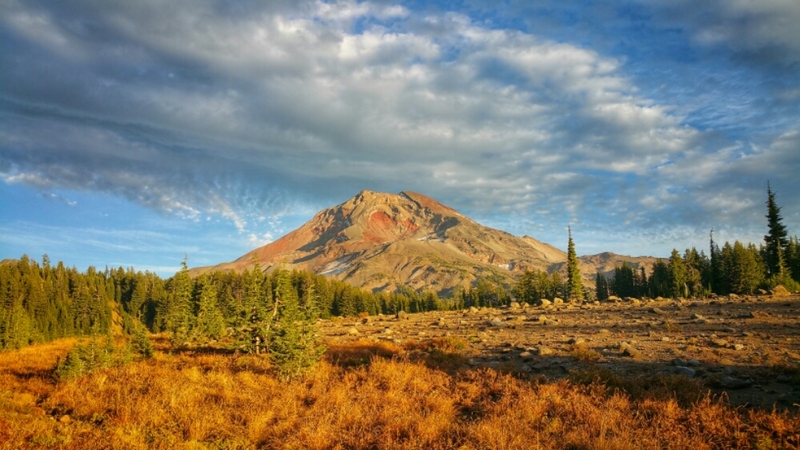 The south side of Mount Jefferson. 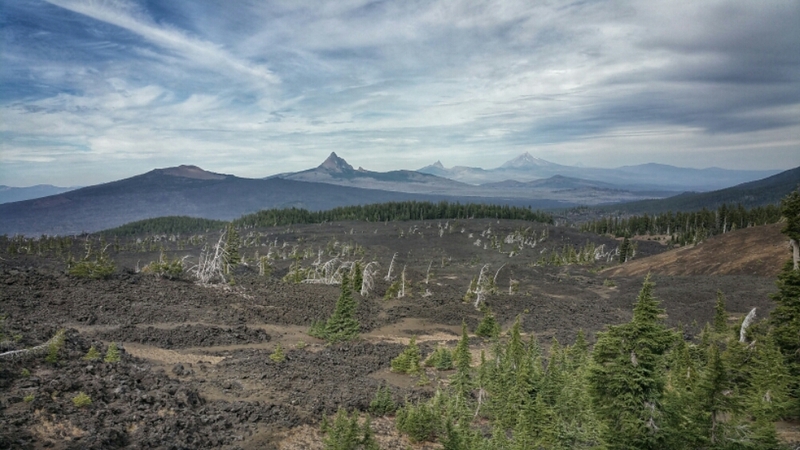 Ridge top lava fields looking at Three-Fingered Jack and Mount Washington. 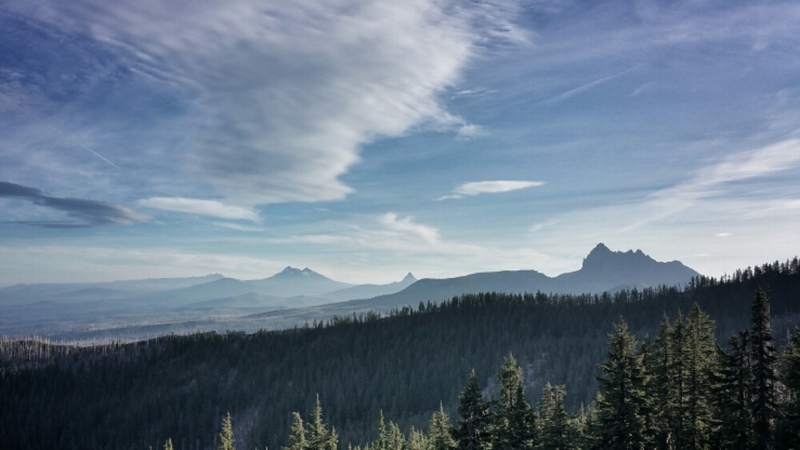 Three-Fingered Jack, Mount Washington and North Sister. Sunset view looking east towards the Oregon interior. 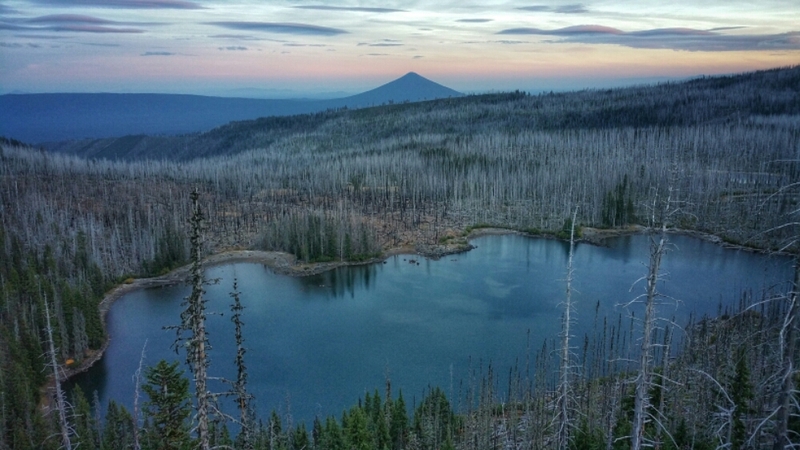 Morning view of Three-Fingered Jack. We heard a few pitter patters of rain on the tent that morning. Spoiled by the great weather we have had since getting back to Oregon, we groaned. Luckily it didn’t last. 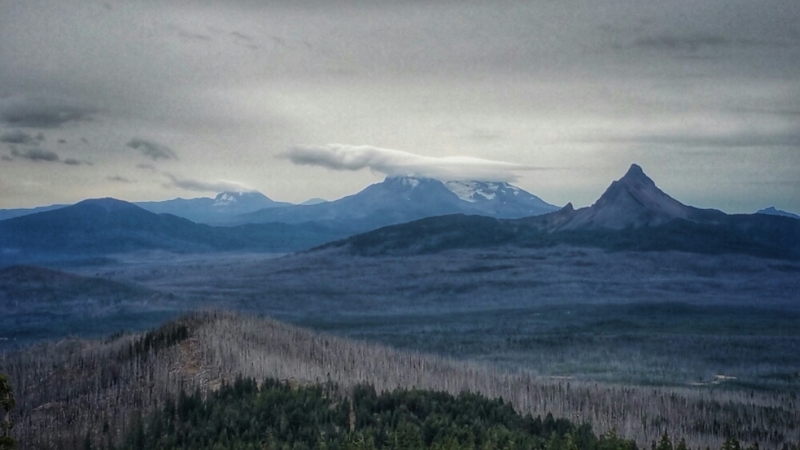 Cloudy view of Mount Washington and North Sister. 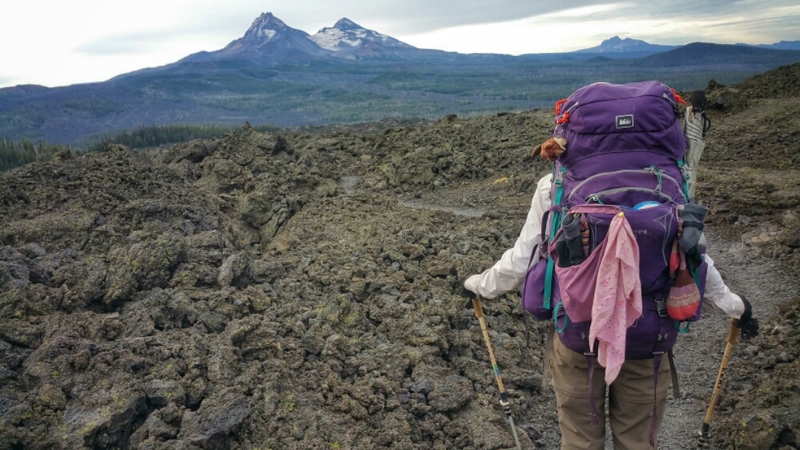 …which immediately transitioned to the large lava fields north of McKenzie Pass and North Sister. 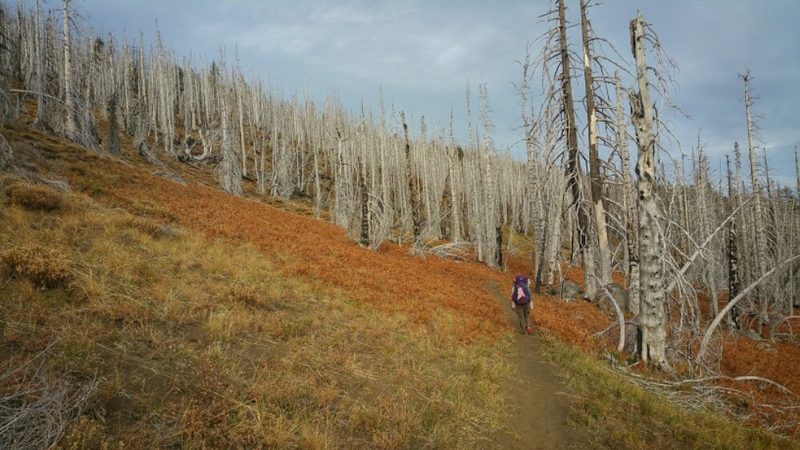 We were planning on getting 25 miles in that day, but the terrain was slowing us more than we expected, as was all of the water we had to carry through this 31 mile dry stretch. By the time we got into the lava fields it was late afternoon and we had the prospect of crossing over three miles of loose lava rock in the dark. On a moonless night. We were not looking forward to that. Then right at sunset we crossed an island of dirt in the middle of all of the lava. A quick look at a relatively flat spot and quick recalculations on the impacts to our schedule led to putting the tent up. Just for this view alone. Jen’s cloudy day sun salutation looking across the lava field at North Sister. 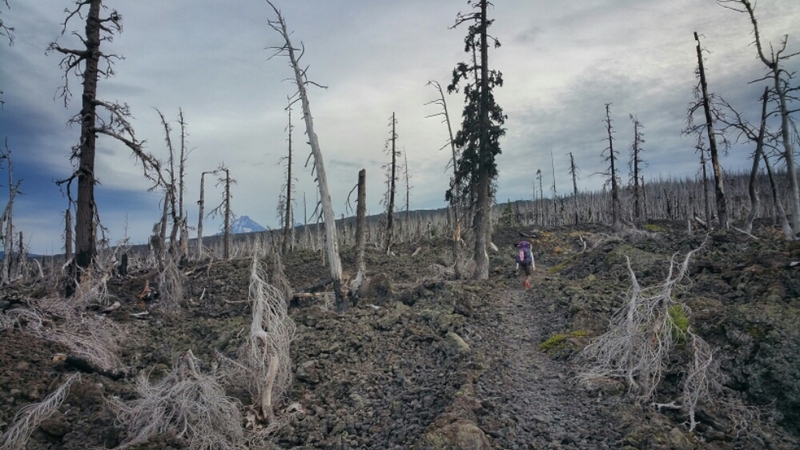 We crossed the lava field, then McKenzie Pass, talked to a couple of very late northbound thru-hikers (who had no delusions about their chances to make Canada before winter set in), then reached our water source in time for lunch. Great timing as we each had only a few ounces of water left. 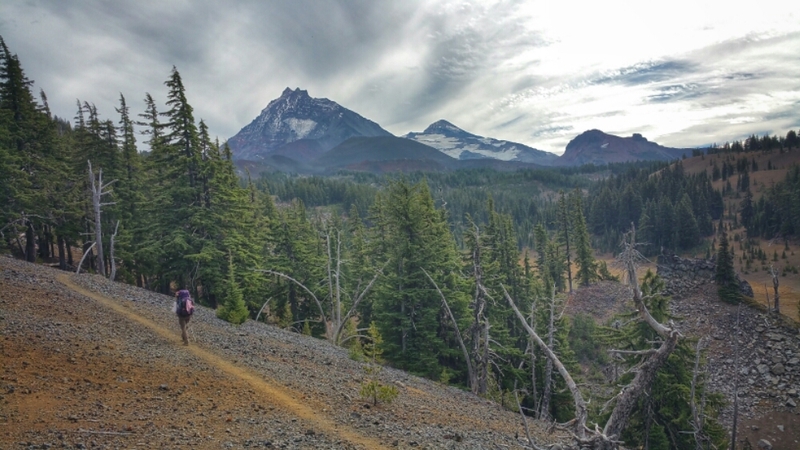 Then it was time to climb around North Sister, which gave us this view of our past week. From l-r: Mount Washington, Three-Fingered Jack, Mount Jefferson, and, if you look real close in the distance, Mount Hood. 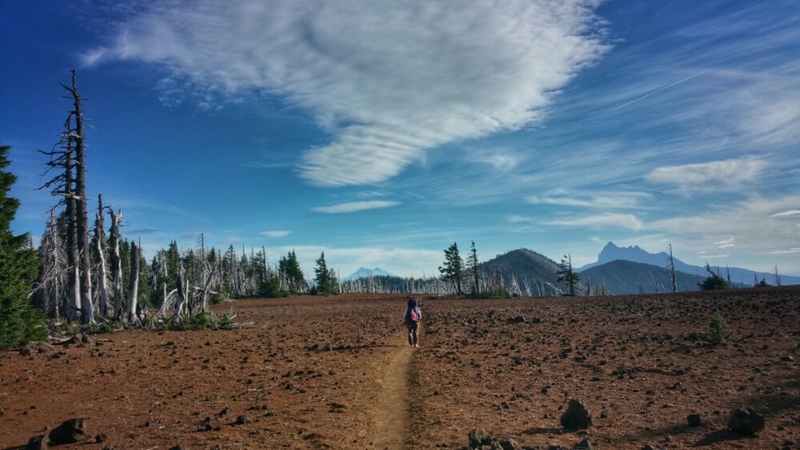 That’s 120+ miles of trail covered this week. 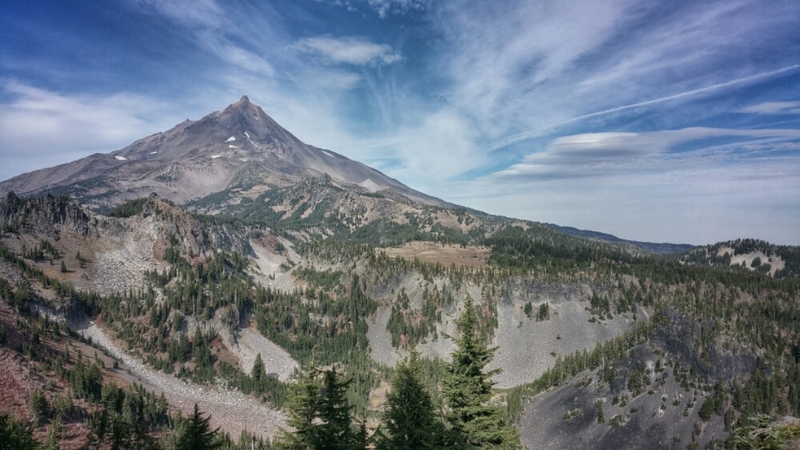 Looking towards Middle and South Sister. 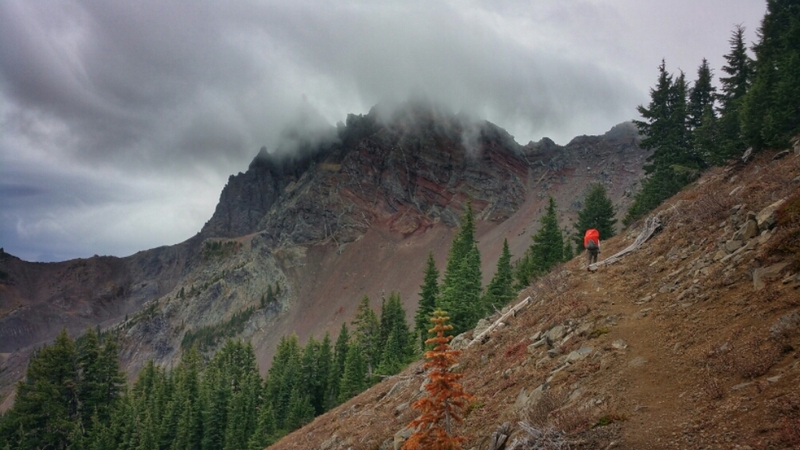 Traversing the Obsidian Limited Entry Area, an amazing little gem nestled amongst the Three Sisters Wilderness. 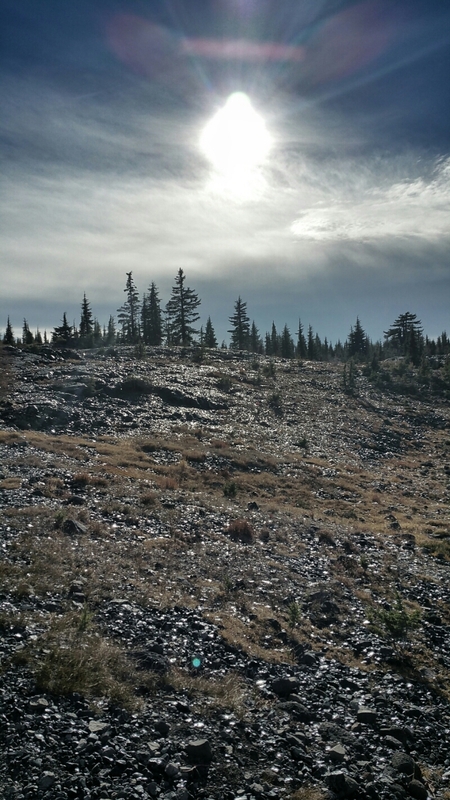 That isn’t a wet field, but a field full of volcanic glass reflecting the sun. Nearby there were obsidian cliffs, but we did not have the necessary permit to stray off the PCT. That’s a reason to go back. A late push for a couple of hours after sunset put us at the base of South Sister and poised us well for a short day so we could head into Bend for resupply. Almost home! You two are incredible!